We conclude this series with learning from John what our instructions are going forward today. What can we learn from John? He talks about what we should keep ourselves from in his last testament to us. In this study we learn from Judas how poor choices produce profound sorrow. We learn from the evil queen Athaliah that we do not want our dying words to reflect a life all about self. What can we learn from Samson, as his life ended with a statement of regret? 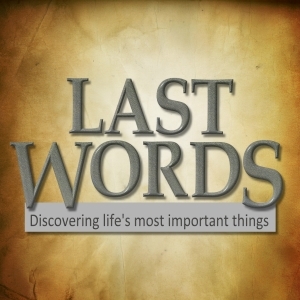 Pastor Waggoner unpacks the truths that will help us live our lives without the regret. Pastor Waggoner shares with us what we can learn from what Paul values. In this study we see what we can learn from Paul- how did he view his life, his record, and eternity? Should we, perhaps, live the same way? How can we have a record like Stephen? Things like speaking the truth, extending grace, and using the gifts God has given us will put us on the right path.